Probably the most beautiful area of Provence, with spectacular scenery and many fascinating ‘perched’ hill top villages, which can be reached by meandering country roads. With more markets than days of the week, visitors will be tantalised by the colours, smells and tastes of the fresh local produce on offer, and there are numerous wine-producing chateaux to visit. Some of the most beautiful villages such as Lourmarin, Ansouis, Cucuron and La Tour d’Aigues are just a short drive away, and offer a variety of restaurants ranging from Michelin starred to simple Provencal cafes. 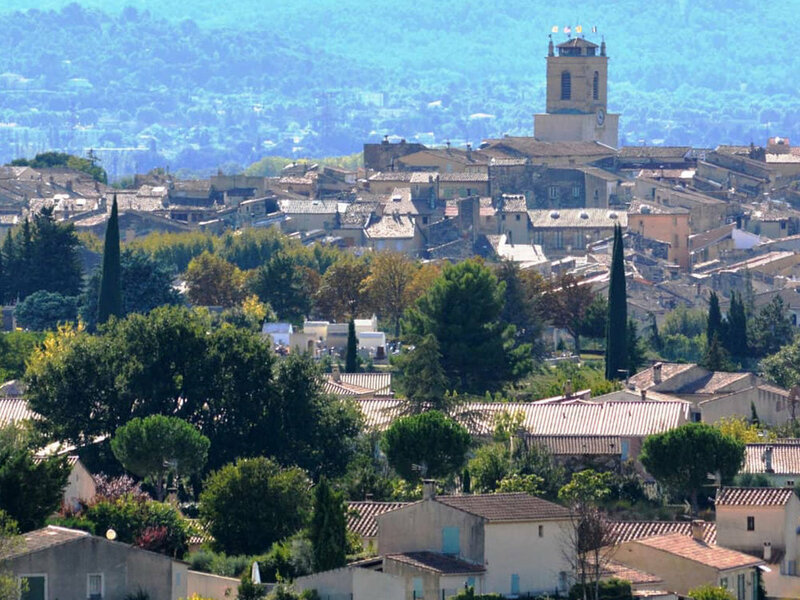 The town of Pertuis, known as the southern gateway to the Luberon, is 5kms/3miles from La Loubiere. A sizeable, bustling town, Pertuis has a variety of shops, supermarkets and all the day to day services required, with a large weekly market. It is linked by motorway to Aix-en-Provence, twenty minutes drive to the south. No visit to the area would be complete without visiting the historic spa city of Aix-en-Provence. Known as the ‘city of a thousand fountains’, the most impressive of which, are situated the length of the famous Cours Mirabeau. Lined with cafes, the Cours is an ideal spot for people watching and relaxing, after exploring the markets and chic boutiques, which line the narrow winding streets. The artist Paul Cezanne made Aix his home and chose the Montagne Ste Victoire, situated to the north-east of Aix, as the subject for many of his paintings. Two other cities that should not be missed are the fortified city of Avignon, the city of the Popes, the Palais des Papes and the famous Pont d’Avignon and the city of Arles, with its winding streets, Roman Theatre and Arena, where bull fighting still takes place. Both cities are just over an over hours’ drive away. To the south of Arles is the beautiful Camargue area, with its flat coastal plains, horses, bulls and flamingoes. The Calanques make up the beautiful coastline to the west and east of Marseille, with little bays and huge majestic limestone cliffs rising out of the sea. Best viewed from the sea, boat trips are available from Cassis, the picturesque fishing village. The quay is lined with wonderful seafood restaurants. Sandy beaches at La Ciotat and Carry Le Rouet are 50 minutes away. The Gorges du Verdon, the world’s second largest gorge, is an area of outstanding beauty and breathtaking scenery, just over an hour away. 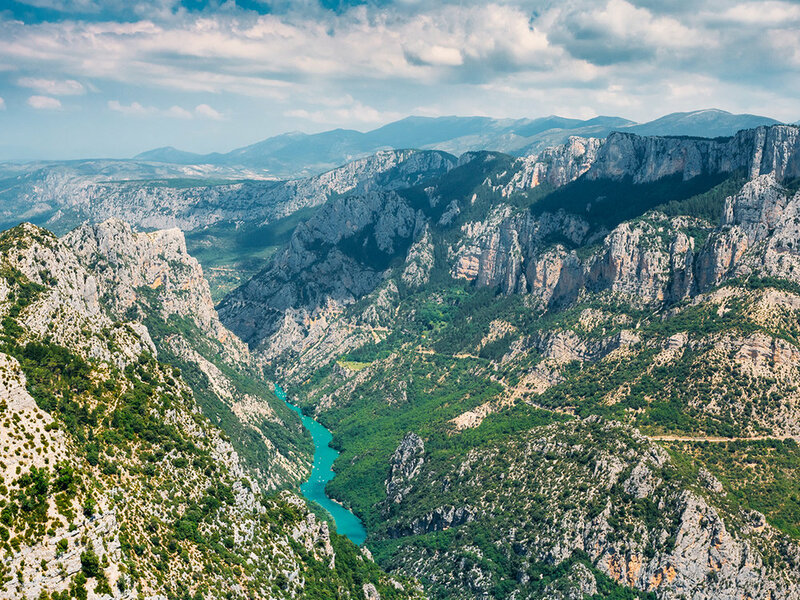 Formed by the Verdon River, so named for its startling turquoise colour, the river has cut a ravine of up to 700 metres down in places, through the limestone rock. There are beaches and kayaks to hire.